Looking for the perfect gift for the men in your life? 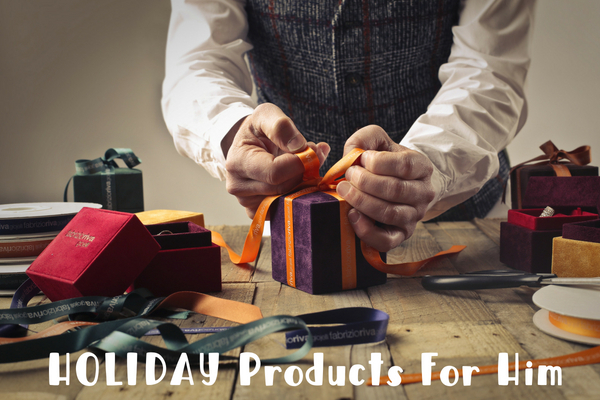 If so, check out our gift guide for him. We here at Kelly’s Thoughts on Things are working to bring you the coolest men’s products of the season. Just click on product URL and it will take you right to the product page. 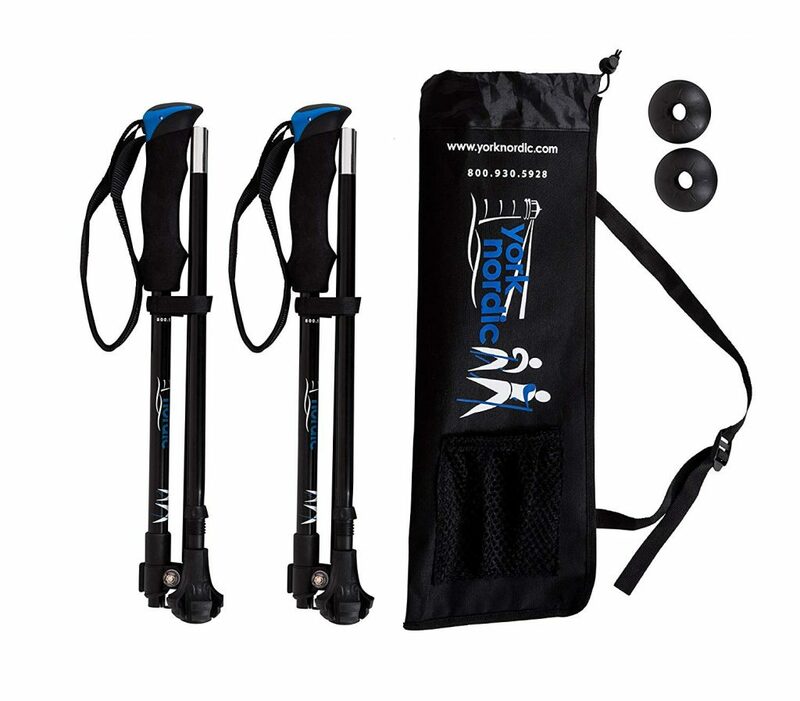 Those looking to gain balance and stability during travel or after joint replacement love the convenience of a 15.5-inch folding walking pole and the confidence they gain from using walking poles. Adjust poles from 42 to 53 inches. 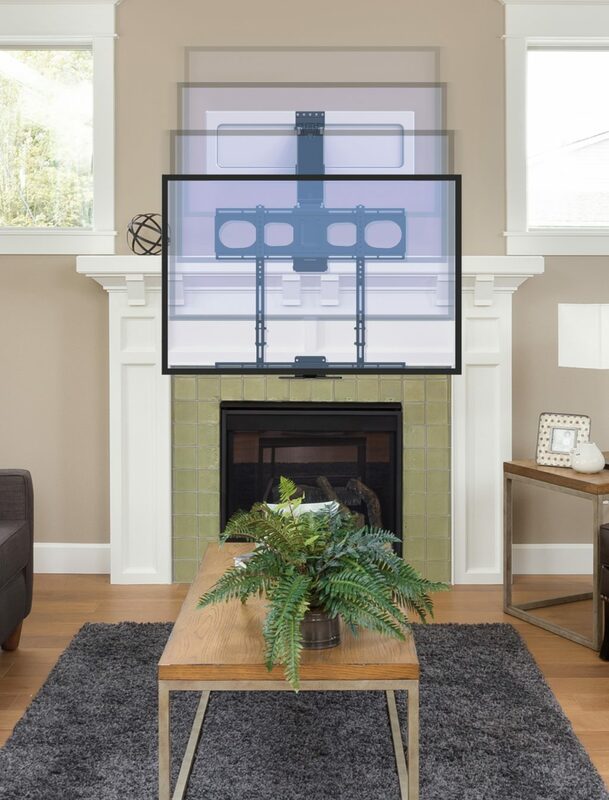 The MantelMount MM540 Pull Down TV Mount solves a common TV mounting problem: mounting a flatscreen TV above the fireplace is an extremely popular mounting option, but it creates a horrible viewing angle. The MM540 is one of the few TV mounts capable of vertical movement, in addition to side-to-side swivel. As a result, you can move the TV from above the fireplace down to eye level (the perfect viewing angle, which also helps prevent neck and back pain), and then move it back when you’re done watching. Now I know sometimes an odd gift to give but something everyone needs. But we want to share with you a gift that any man would absolutely LOVE to get, any time of the year. Why..because Bunch of Animals Men’s Underwear, is the softest, most comfortable and interesting underwear to hit the market. Nothing starts the day off right like slipping on a pair of great fitting and feeling underwear, one of the small daily luxuries that make the sun shine a bit brighter. 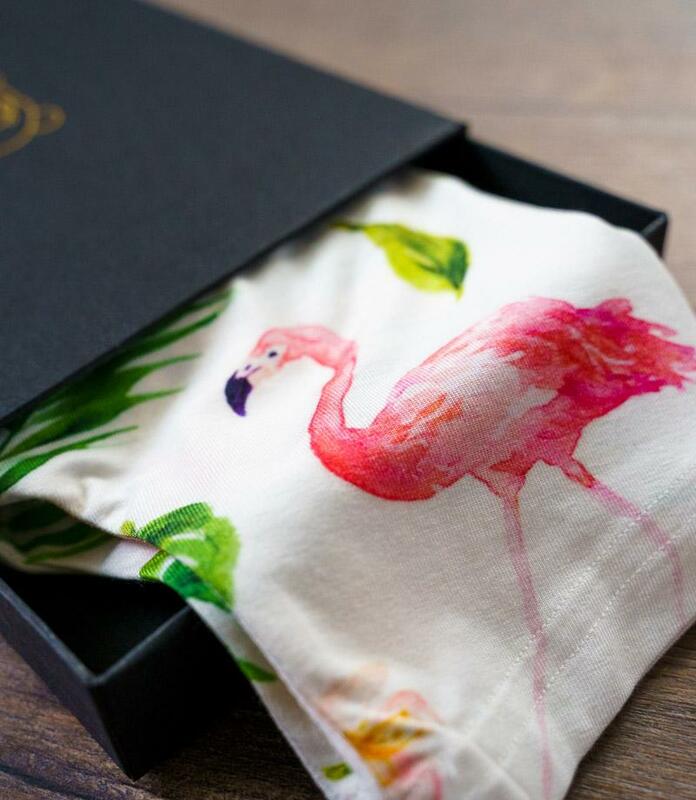 Each pair features a vibrant graphic by an artist that has been printed using a unique process so the designs are seamless and incredibly rich in color. MSRP is $33- so worth it! Give the gift of STYLE! 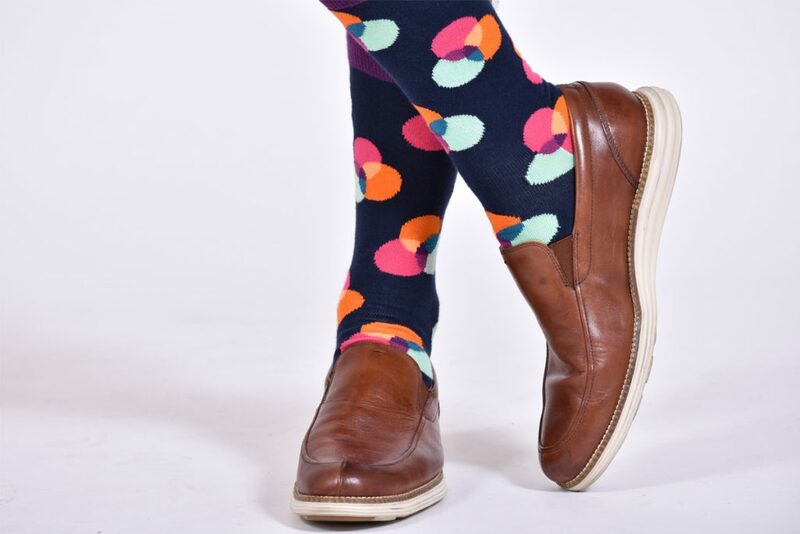 Socks can catch an eye when worn with a classy outfit. Men want to make a great first impression at work, hanging out with friends and going on dates, but while they have already mastered a classy button-down shirt, most forget the details… like a fresh pair of socks. Exec Socks sock subscription starts out at $10 a month and arriving at his door each month. Do you know someone who would love to get socks delivered right to their doorstep? You can cancel anytime and FREE SHIPPING. Exec Socks is the sock subscription with attitude, or what I think, the coolest socks ever! Our readers can use the code JINGLESOCKS to receive 25% off when they order a subscription ends 12/25. Please check out all Exec Socks and last minute gift idea-SOCK SUBSCRIPTION. With dry herbs becoming legal in a lot of states now, having one of these is the way to go. It is portable and you can take with you when you leave the house. It is well made, durable and affordable. This would make a great gift for the cannabis lover in your life or even yourself. NY VAPE SHOP has a huge inventory of products that all cannabis users will love! They carry vape pens for wax, oil, and herbs. There is also a huge selection of glass pipes, bowls, bongs, and chillums. You can even find stash containers, dab tools, Domeless nails and more. Please check out NY VAPE SHOP for all the goodies! Take care of every man on your holiday shopping list with the best head-to-toe Men’s Grooming Essentials. Men need to care for their skin just like women. 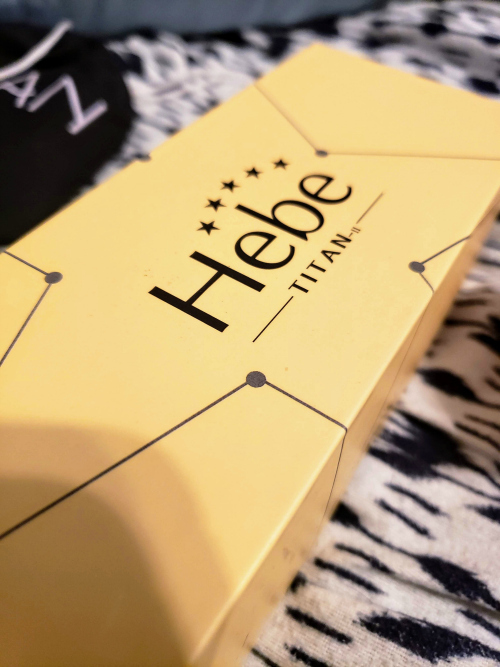 Give the gift of beauty to your man and both of you will love the results. Sandra Lee MD has everyone covered! This indulgent body scrub uses both physical and chemical exfoliating properties to help smooth, brighten, and hydrate without stripping the skin of its natural barrier. Perfect for anyone with keratosis pilaris, ingrown hairs, or uneven skin tone, this Glycolic Acid, Lactic Acid, and Willow Bark Extract treatment is an exfoliating powerhouse that leaves your skin feeling velvety smooth and perfectly prepped for the Glycolic Acid Body Lotion. Powerful enough for real results, gentle enough to be used daily. Everyone loves cool graphic tees in their wardrobe. Men wear t-shirts every day so why not get him something he will wear. Put back the button up and get an OddBlox T-shirt subscription. A t-shirt is a great gift for men because is one of the most basic garments and we know every man enjoy a cool simple tee. The subscription for the month that starts at $17.99 but many people have bought subscriptions for 3-6-12 months for they beloved people. The gift of comfort! 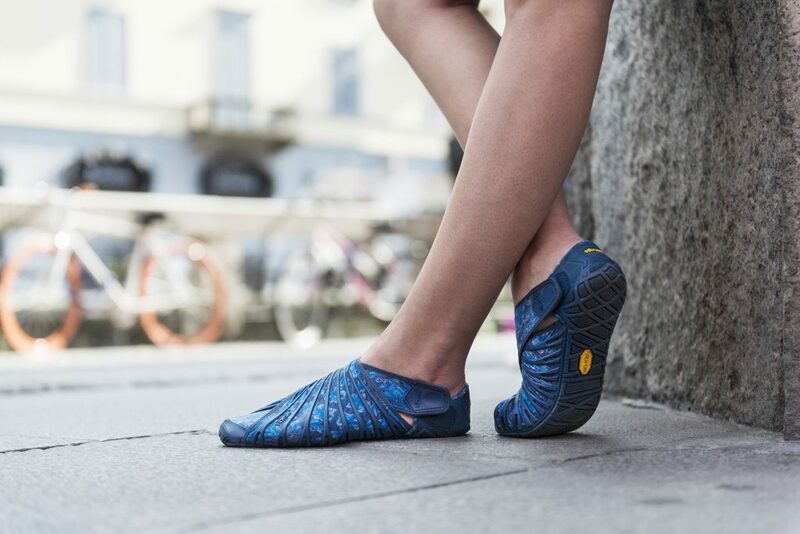 The Vibram Furoshiki, fondly referred to as the “wrapping sole” is a blend of comfort and performance for everything from travel to house slipper. The Furoshiki combines Vibram’s sturdy traction in the sole with a stretchy, soft fabric upper that conforms to the shape of your foot and stays put with a simple Velcro tab. Extremely easy to get on and off, the Furoshiki also folds up and packs into its own travel bag. Each pair weighs under 10 ounces. 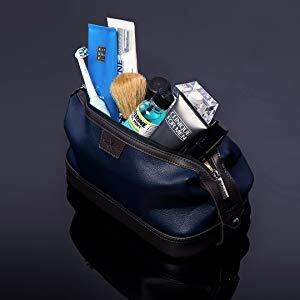 The Leo Dopp Kit is premium quality and versatile toiletry bag made out of modern materials. Named after Leonardo DaVinci, this dopp kit comes with YKK pullers and blind zippers considered the most durable and reliable travel accessories in the world. The beautiful supple PU leather is cruelty-free, water resistant, able to survive extremely humid environments and to protect you against liquids and leaks. The golden inner lining is water and stain resistant and crafted with a reinforced weaving technique used in yacht sails, hot air balloons, and parachutes, this results in a fabric lining that resists rips and tears. With more than double the interior space when compared to other brands – almost 257 extra cubic inches, equal in volume to 100 golf balls – you have plenty of room for your little luxuries. This toiletry bag’s measurements are 11.5″ length x 6.”5 width x 7″ height. 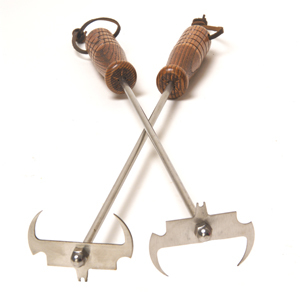 The WiseHooker Clean-n-Flip is the ultimate BBQ grilling tool. It is a quality innovation that makes grilling safer, cleaner & easier than ever. This tool is my husband’s favorite bbq tool- so if you have a BBQ grillmaster then he needs ones of these! * With just a quick turn of the wrist, securely and quickly lift and turn: meats, vegetables, and more! * Does not damage meat like other tools. Just a light prick of the fat or meat surface is all that is needed. * Helps keep your hands and arms away from the heat so you don’t get burned. * Faster and more secure flips with no more accidental drops. Very strong design for very large cuts of meat. * Keeps food clean, it does not scrape up grill grit like a spatula or tongs. * WiseHooker™ uses a unique design that surrounds and cleans the top, sides and underside of the grate. * Cleans better, safer and cheaper than a gooey wire brush. Does not gum up, splatter on you, or wear out. * Cleans most grills, hot or cold: stainless, cast iron, porcelain, ceramic, gas, electric, wood or charcoal. * Safer as you do not worry about the wire grill brush bristles breaking off and getting into your food. * After cleaning, wipe with a paper towel. Your grill is cleaner, your tool is cleaner, and you’re cleaner too! 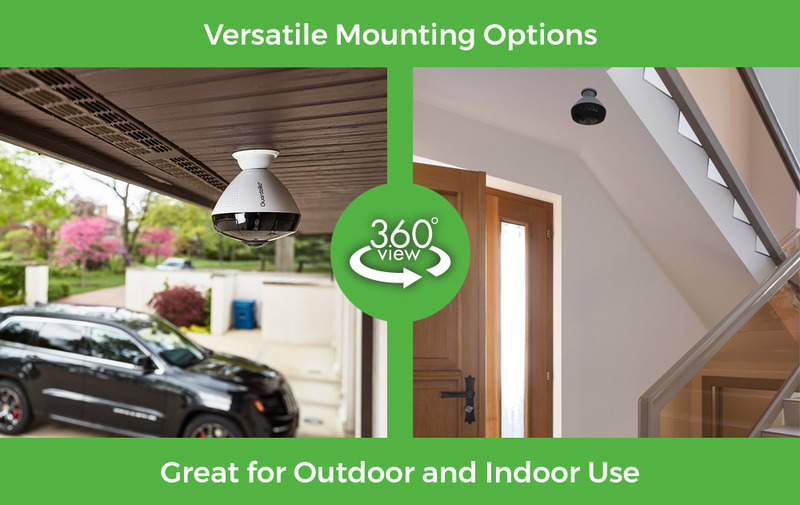 This 360 Outdoor All-In-One HD Camera is the first-ever, all-in-one outdoor Wi-Fi security camera to deliver 360-degree live HD viewing along with duplex audio communication. It features 360-degree motion detection, built-in night vision and an IP65 weatherproof design for extra peace of mind while away from home. Share Guardzilla 360 Outdoor/Indoor with your partner or babysitter so they can check in on the kids while on-the-go. Take snapshots of your pets in the backyard and share it via email/text with family and friends. Men LOVE gifts like this- they can protect and watch over the family as a daddy bird does. The Better Ice Scraper is a faster, smarter, easier way to clear your windshield. Its unique design makes it efficient. Its compact size lets it stow away easily. And its ergonomic grip makes it more comfortable to use. 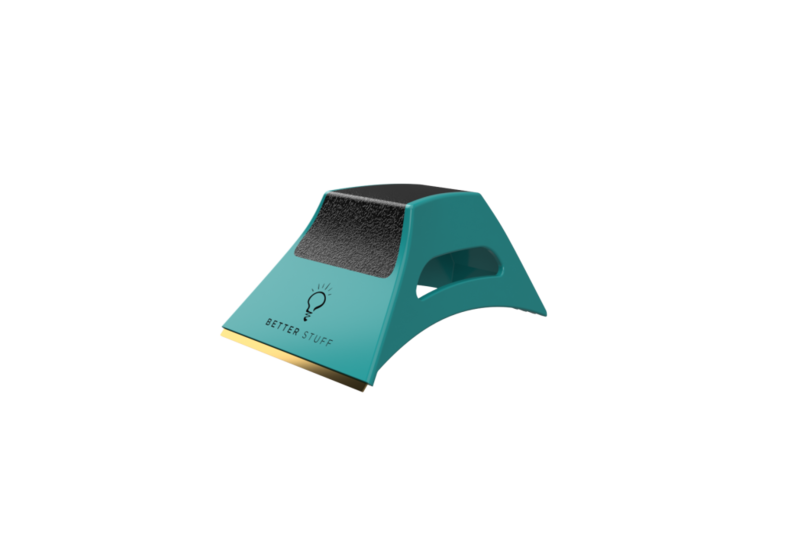 The Better Ice Scraper features patent-pending Shape Shifting technology that forms the frosted edge to the curve of your windshield for maximum contact. This new design with enhanced stability puts less strain on your wrist, elbow, and shoulder, but knocks out ice in no time! Kisses 4 Us® is a Box of Fun, Flirty, Romantic Kisses for Making Kissing Fun! Each Kisses 4 Us soft-touch laminated box is filled with 30 Unique Kiss Cards-each card contains an explanation of the type of kiss plus, extra trivia, fun facts and tips to enhance your kiss experience; 5 “Create Your Own” Cards, and an Idea Book to enjoy Kisses 4 Us throughout the year. 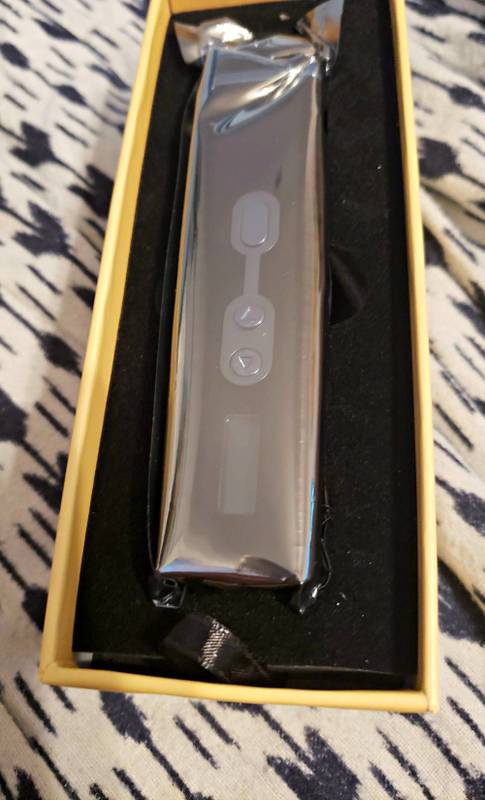 The Pitbull Gold, the latest innovation from Skull Shaver features a patented, ergonomic design that turns the five spinning blades into an extension of your hand, letting you comfortably and quickly shave even hard-to-reach areas. Each rotary cutter flexes independently and the Gold features more torque, cutting area, and better articulation than previous Skull Shavers. The water-resistant shaver can be used dry or wet and has 90 minutes of cordless power (it can still be used while plugged in and charging). All of the shaved hair is trapped in the Pitbull so you can shave on the go and not worry about having to brush off your shoulders (much less the sink or floor). 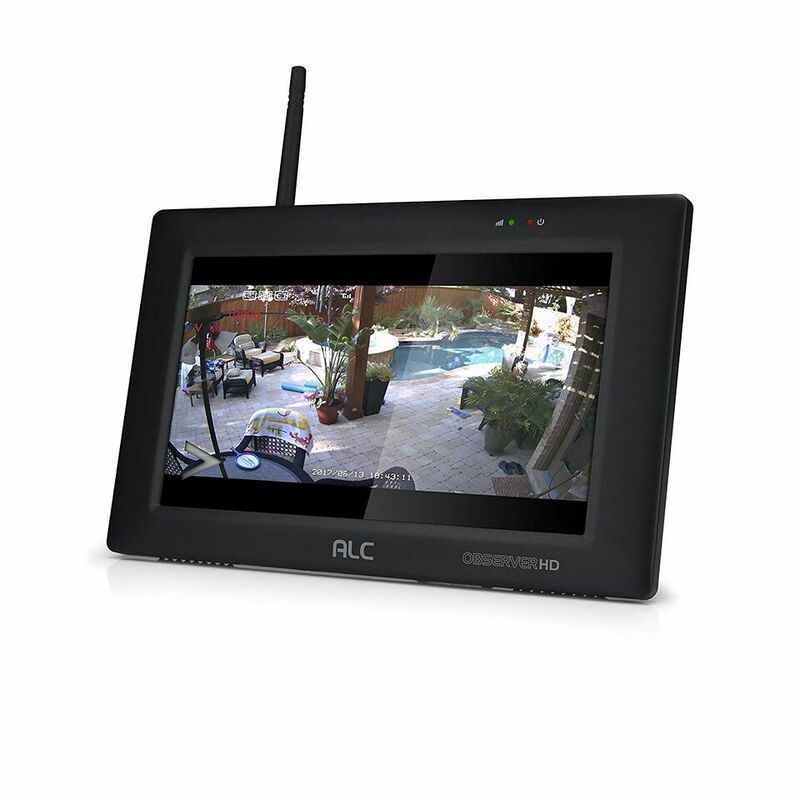 The DIY easy-to-install Observer HD home surveillance system from ALC Wireless features a full HD, WiFi waterproof camera for indoor or outdoor use that comes already paired with a 7-inch, full color, touch-screen monitor and 8GB microSD card for recording and saving footage yourself (expandable up to 2TB via USB). The camera lets you see in low-light and total darkness up to 65 feet and will detect motion, record motion and send alerts to your phone via the free app as well as trigger a loud alarm built into the monitor. It’s expandable up to four cameras, and there are no contracts or monthly fees. 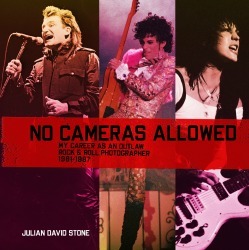 No Cameras Allowed: My Career as an Outlaw Rock and Roll Photographer tells the story, in words and photos, of how Julian David Stone, entirely by sneaking his equipment into concerts, amassed an incredible archive of over ten thousand rock and roll photos. Starting by simply stashing a camera in his socks, then taping equipment all over his body, to finally customizing a jacket to hide equipment from security guards, he shot dozens of the 1980s greatest acts: Prince, U2, the Police, David Bowie, R.E.M., the Ramones, Elvis Costello, the Talking Heads, the Grateful Dead, Joan Jett, and many, many more. Culled from this incredible, never-before-seen archive, No Cameras Allowed contains over 250 of his best photos, along with some of the craziest adventures he had as he evaded oversized roadies, aggressive security, and more than a few drunken fans. If your man loves spending time with the grill, cooking up your favorite steaks or burgers, then he’ll be overjoyed when you gift him the Grill Master Crate! This crate includes some of the best accessories that every man needs to achieve ultimate grill master status, including a cast-iron smoker box and some hickory wood chips to get you started. Set the smoker box on the grill as it warms up, soak the hickory in some water, and drop ’em into the box as your meat grills. 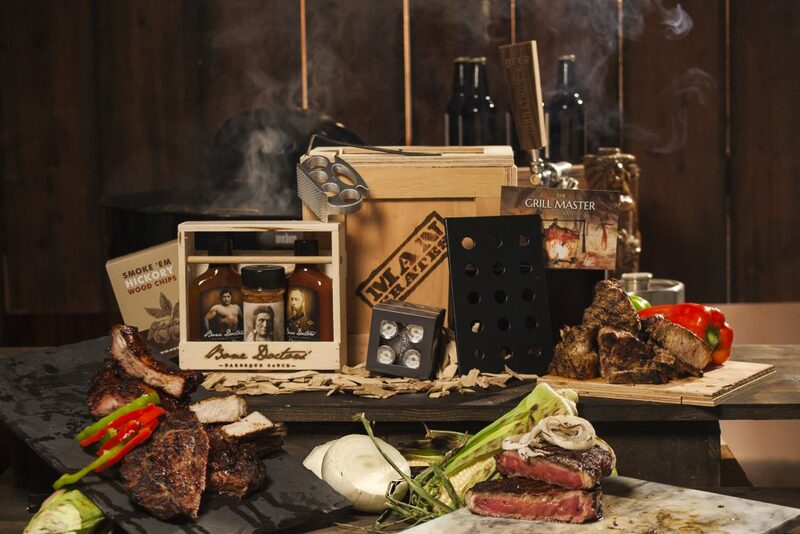 The crate also comes with a brass-knuckle meat tenderizer, steak thermometers, 2 types of BBQ sauces, and a spice blend.